Distribution made easier!!! 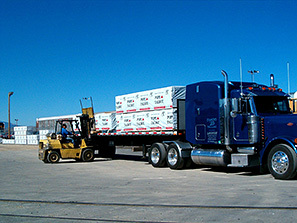 With multiple loading docks, lifting abilities up to 86,000 lbs, and the best yard team in the region, the Port of Montana is the place for storage and distribution in Montana and the Rocky Mountain West. The Port of Montana has a proven history of being a distribution solution. We offer safe and efficient procedures, direct transfer between rail and truck, scheduling and shipment coordination, and timely inventory controls.